Before I go into the main thrust of this little tirade, I’d like to lay out my personal thoughts on what the various ‘Techs’ of EVE should achieve to properly differentiate themselves. These kinds of distinctions must be made within the game to ensure inter-class balance, and to prevent balancing from consisting of simple, general buffs. Tech 1 ships are relatively well cemented within the game. They’re cheap ships that can perform the tasks that are fundamentally necessary to the game’s function on a basic level. They do damage, take some damage, and thanks to T1 logi, can repair it as well. Navy faction ships should be similar to Tech 1 ships, but be improved along the lines of what the race expects or needs for fleet or solo combat. This is another goal that has been relatively well met in the current balancing paradigms, with Apocalypse Navy Issues and Tempest Fleet Issues being well regarded as capable nullsec doctrines, as they provide the benefits of their T1 counterparts in addition to a greater tank (and room to fit utility modules in the latter). Pirate faction ships should break some fundamental rule of the game, and for a most part do this well. The Sansha, Angel Cartel and Blood Raider lines being especially notable in this regard, with “An AB should be slower than an MWD”, “Nosferatus only drain when you’re below the targets cap” and “That Battleship/Cruiser/Frigate warps slower than my Cruiser/Frigate/Interceptor” being the rules they break. Note that these aren’t specialisations. They don’t take an existing role and advance it, they create entirely new and divergent roles for themselves by breaking said roles. Tech 2 ships should take an existing role, be it repairing other ships, providing E-war, or tackling and specialise in that one specific area at the cost of others. This does fall apart somewhat when one considers stealth bombers and black ops battleships, as they specialise in completely new areas, but given that their main focus is on being stealthy at the cost of all else, they do fit into the ‘specialist’ role I assign to Tech 2’s. Tech 3 ships should be adaptable, customisable vessels that can be changed either on the fly, or just prior to combat, to be able to fill many divergent roles, whilst doing so somewhat worse than a specialist ship in the area. 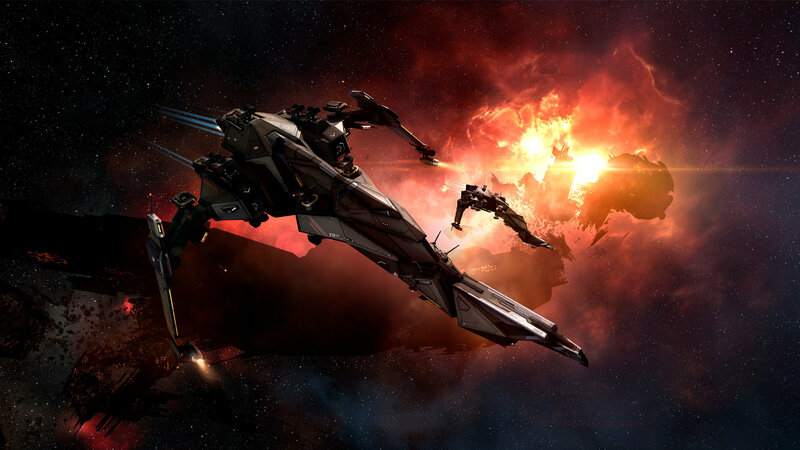 Seeing as Tech 3’s in general are in the crosshairs of the infamous CCP Bat once again, with many solutions aiming to bring them back in line with a vision that is – according to the minutes from the last summit – similar to my own preferred place for them, we must consider what impact this will have on the fleet composition meta of EVE. 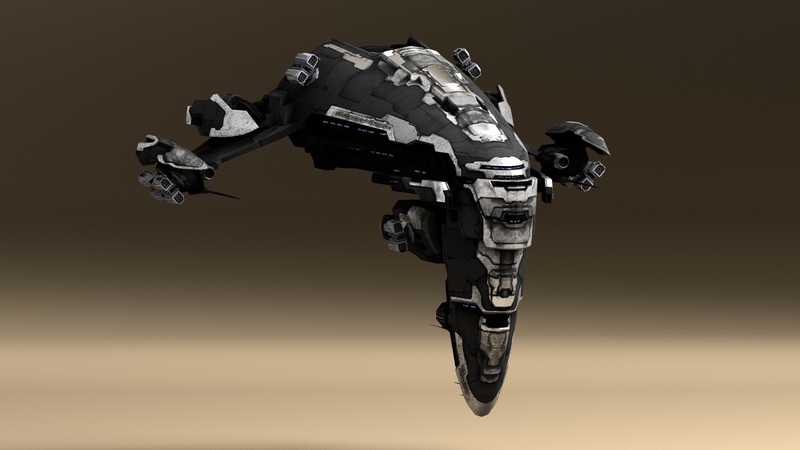 Assuming that the nerfs will most likely take the form of the removal of rigs, and are compensated with something that more greatly benefits their adaptability, such as an inbuilt mobile depot to change subs/mods in space, many will be looking for a new cruiser doctrine to take to the skies with. Battleships will not suddenly become the roaming ships de jure because Tech 3’s are nerfed, as the current state of strategic mobility through wormholes or gate travel precludes Battleships getting to fights due to either mass, or sheer time constraints in both respective cases. Plus, once they do arrive, they lack any meaningful way of forcing an opponent to commit to a fight. This being the case, people’s sights will inevitably return to a long problematic class of ships, the heavy assault cruiser. HACs have historically had a lot of use, for the same reasons that strategic cruisers and tactical destroyers are prevalent now. They fill a very bland role, having a good balance of DPS/tank/signature/projection, and being able to get to fights. That’s not a bad thing, as recons are used in nearly every combat fleet (the exception being when Tech 3’s overshadow them due to tank reasons). What is bad, however, is that there is no specialisation inherent to the class. And whilst individual ships have evolved to fill very specific roles through fits and their existing bonuses, the class itself has no clear goal. There were attempts to remedy this by giving it a role bonus to MWD bloom, with the intent of making the class revolve specifically around low signature kiting, which ended up being yet another shot of steroids into the monstrosity that was the 2014/2015 Ishtar. It also seemed useless to the previously strong, but now hilariously underutilised AB-HACs which were popular since, well, when I started playing. Some of this is just the tides of nerfs and buffs that inevitably roll through the game, with innovations and changes in weapon strengths or other ancillary factors all of which make a comp viable within the meta game, but I believe at least some of it comes from the lack of direction for the class. If you asked most people what HACs specifically were intended to be, it’s my firm belief that – unlike with Tech 3’s, where the intent was undermined by degenerate fittings and proliferation – most would simply answer to the effect of “better cruisers”. This lack of direction means that they have become a ball of stats, which are tweaked to bring each individual HAC in and out of relevance as its weapon system is buffed or nerfed, without fulfilling a specific role for which it can be balanced to achieve. What I propose to solve this is the splitting of the HAC class into two separate categories (hopefully sharing the HAC skill), fire-support HACs & anti-support HACs. Through this, different role bonuses and balancing thought could be applied to each to allow them to fill their own specialised role within a fleet composition, or pulled together as the mainline ship of a doctrine built to revolve around a more specialised style. Fire-support HACs comprise of an existing class that’s already baked into the HAC lineup. The Ishtar, Eagle, Munnin and to some degree the Zealot fill this role. Though they all have different fits at the current time, their most notable strength is in one area: their ability to project damage at long ranges. Grouping these together within the HAC class and giving them shared, new role bonuses to represent this would provide both a contrast to the other HACs, and give a specific direction to them. Whilst I won’t talk numbers specifically, as that’s something that could be endlessly pulled apart in the comments, and rightfully so, I’d consider something along the lines of a tracking penalty combined with the continuation of their existing (and somewhat loathed) double range bonuses, whilst keeping their MWD Bloom reduction and great slipperiness to provide a perfect kiting platform, along with buffs to their base stats (lock range/sensor strength) to reduce their susceptibility to E-war. Anti-support HACs on the other hand would come from the other end of the scale, being built with close range, high application weapon systems in mind. This already exists in part with the Vagabond. However, changes to the Sacrilege, Cerberus and Deimos would have to be made to suit this role. Their bonuses would have to be adjusted or replaced, and they would lose the MWD bloom bonus, to be replaced with a baked-in tracking bonus. These ships would not gain the same buffs to lock range or sensor strength as fire-support HACs, instead gaining more base HP and scan res, to provide (as the name suggests) a dedicated, specialised anti-tackle and anti-bomber platform for fleets. Alternatively, a low projection, high application based doctrine ship which can commit to a fight hard in the way strategic cruisers did previously, but without being meta-chokingly overpowered. 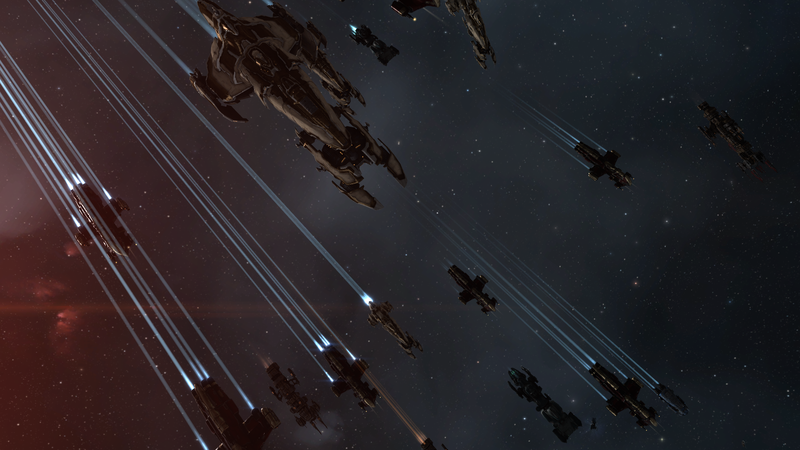 I believe that these changes would help curb the projection creep that Tech 3’s introduced to the game, without completely removing the ability for groups to third party on fights without directly committing to the assault (something I personally do not like, but recognise as a part of CCP’s current direction), by locking the projection given into specific hulls, with reciprocal bonuses that specialise them in that exact area and role. In addition, anti-support HACs help fill a role that has been somewhat lacking in the game, as well as providing a new, shiny alternative for those who want to go balls deep in a fight when compared to the (assumedly nerfed) Tech 3’s. I welcome feedback and criticism, and hope that we can have a discussion on what role HACs should play within the meta, as well as what each tech level should aim to represent.